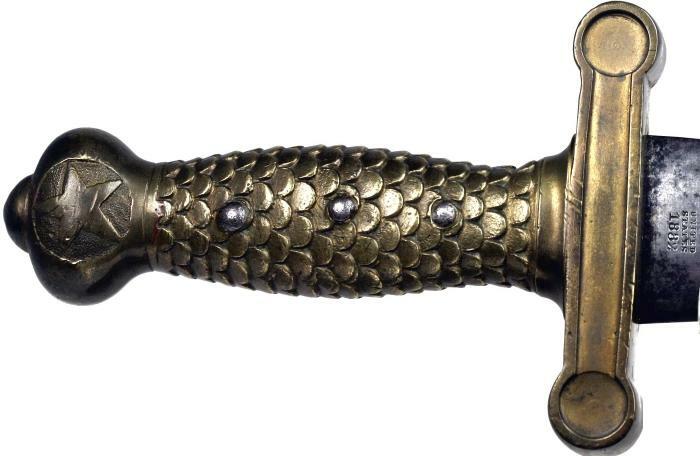 This small order of only 40 swords was made by the Republic of Texas in 1840. 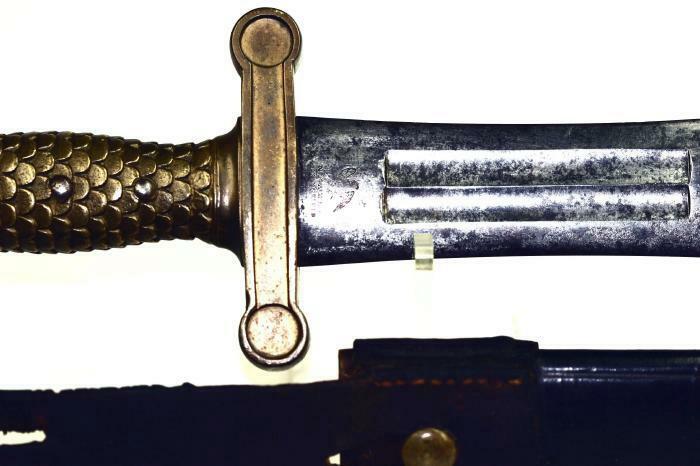 These swords all appears to have been made up of all 1832 dated blades. These blades were left over from a large number of Ames - first year production of Artillery swords that did not pass U.S. government inspection. 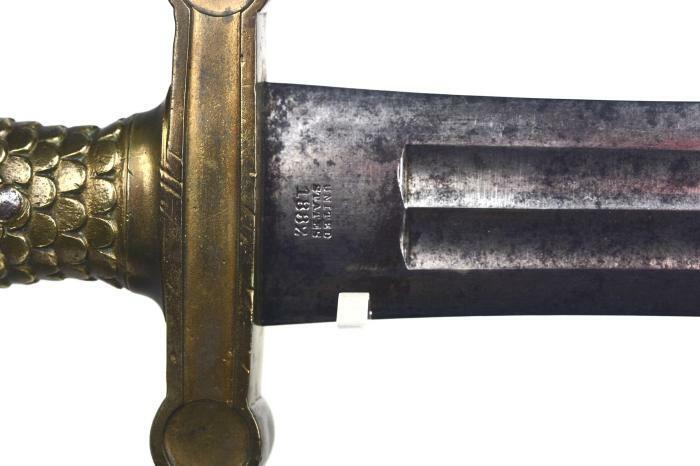 The brass hilts of this 1832 production were the problem and were not accepted (many of the 1832 dated U.S. swords are found with the grip severely dented in to show that they were rejected. 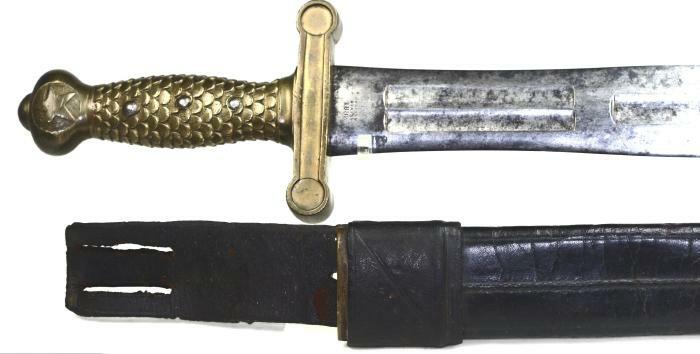 The 1832 dated blades were fine and appear to have been reused on not government contract swords. 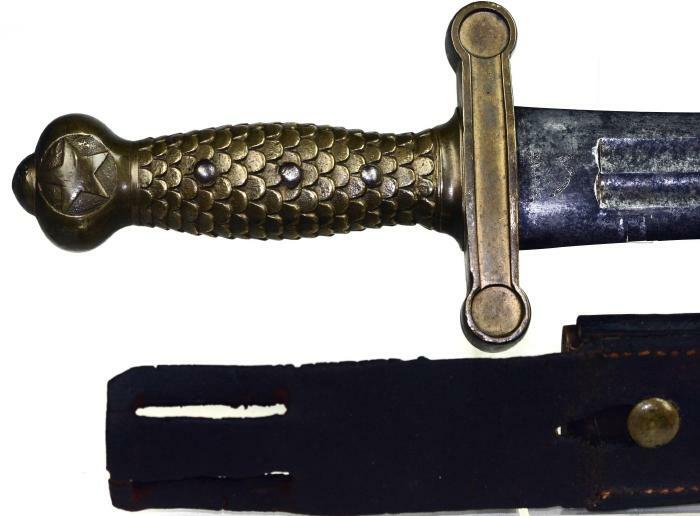 This is the first example I have ever seen with the original sword frog, belt with roller buckle and shoulder strap. 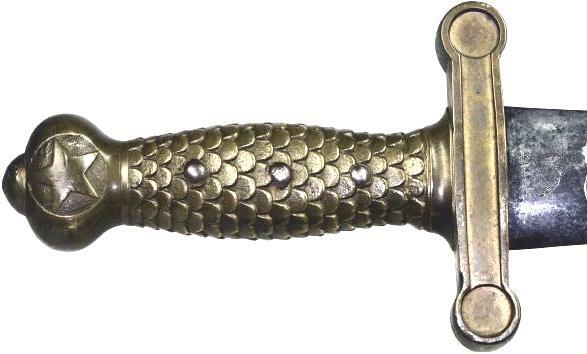 Figure 01.01.04.2: Star Pommel Texas Artillery. Note the use of the frog, holding the scabbard backwards. Figure 01.01.04.3: Sword, frog, belt, roller buckle and shoulder strap.